As I sat down to prepare something special for Valentine’s Day, I remembered doing the same thing last year. That went over so well I couldn’t think of one good reason why I shouldn’t repeat it. This is no ordinary medley but then again this is no ordinary day. This Valentine’s Day Medley, which is just short of two hours long, is filled with nothing but love songs from a variety of musical genres; pop, rock, country and crooners. 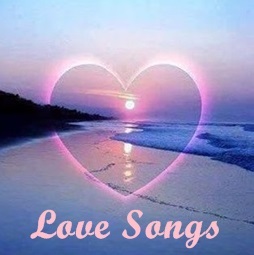 There are love songs for the young and love songs for those who are older. One song in particular – the final one – reminds us that love lives long beyond the grave. I hope you enjoy listening as much as I enjoyed putting it together. It was, I assure you, a labor of L-O-V-E. I would advise turning the volume all the way up before you start. Took me a while to listen to the whole thing but was worth it, some songs were hared to listen to though! Thanks for the memories Ray! That was fab Ray, thanks. Awesome…..I was gone all most all day yesterday so didn’t get a chance to listen till this morning. You Rock!! Hi Ray, let us know how you are doing when you are up to it. Thanks! Wonderful Ray! Great music for leisurely listening on a Saturday (vaca day)! !